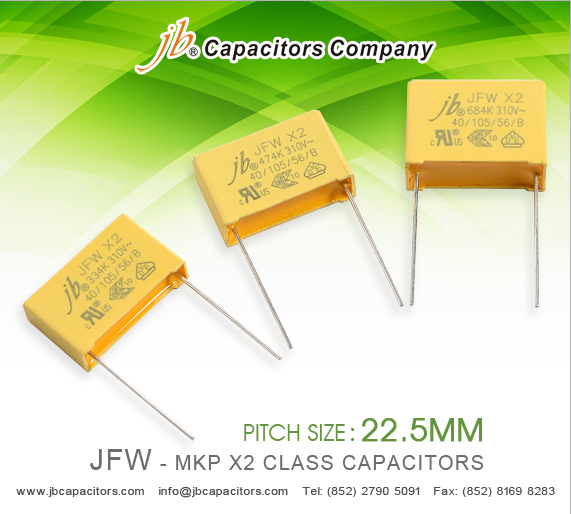 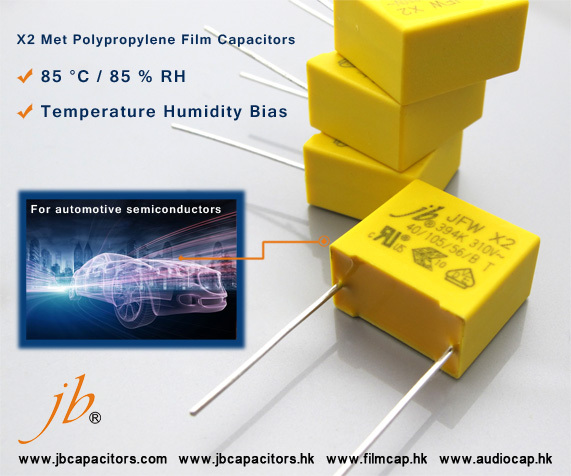 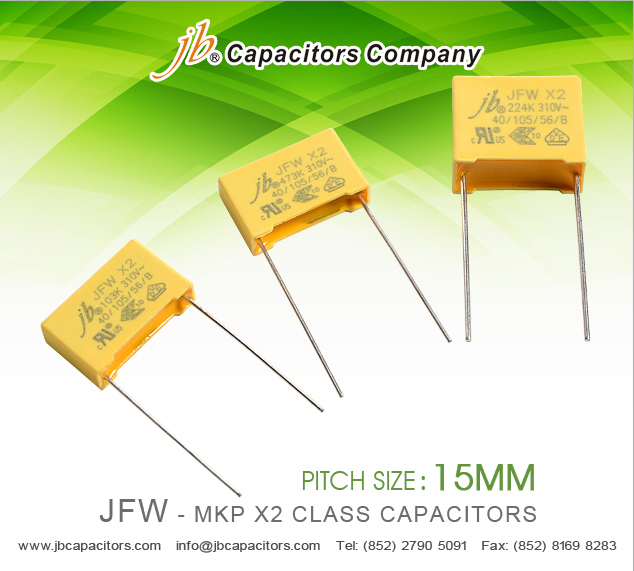 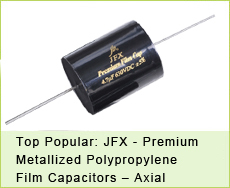 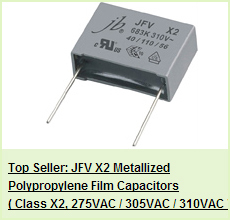 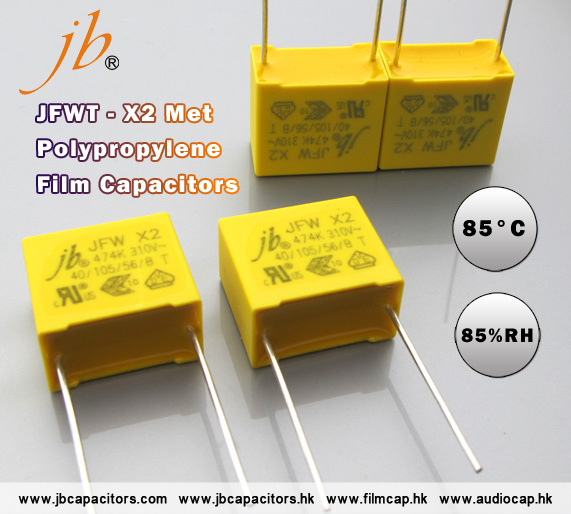 Now, jb can also provide the sample for Pitch Size 27.5mm MPX Safety Standard Capacitor X2 JFW, JFW Safety 310VAC Capacitor’ s performance is better than JFV and JFZ, you can try our upgrade product JFW Suppression Film CapacitorsClass X2 AC-High Stability Grade, you must be surprise! 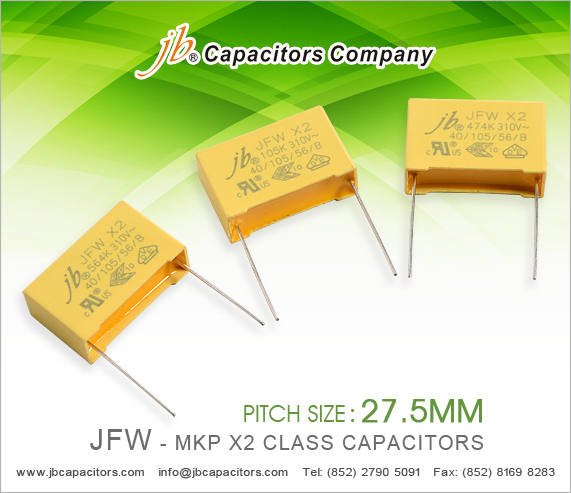 In order to increase the selection, now, jb has adequate inventory of sample for Pitch Size 22.5mm Radial Class X2 310VAC JFW Capacitor. 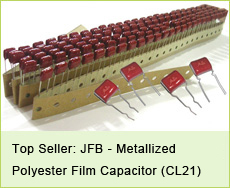 We provide the samples free of charge for you, you only need to ask our sells for it.